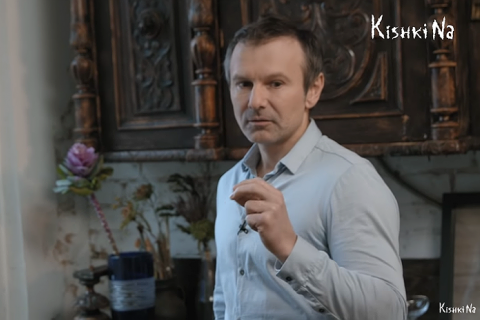 Vakarchuk to voters: "Do not let essence be replaced by form"
"There is a constant competition of colours and slogans. Big words against humour. Billboards against Instagram. Sermons against TV shows." Popular Ukrainian singer and public activist Svyatoslav Vakarchuk has urged voters to demand that the presidential candidates answer the question on how they see Ukraine in five years and how they are going to achieve this. "Let us figure out what everyone is talking about. Whether a debate is going to take place or not. Where it is going to be hold. Who is going to moderate it. Who should take medical tests and which ones specifically. Are those the things which will really allow us to make a conscious choice?" he asked in a video address to Ukrainians. He said that as a voter, he would like to know how the candidates are planning to introduce the rule of law in Ukraine, reform the judiciary, bring back military and political prisoners held in Russian prisoners, etc. "How are they going to bring back occupied Crimea, Donbas?" he asked in particular. He noted that essence had been replaced by form over the entire course of the presidential campaign. "There is a constant competition of colors and slogans. Big words against humour. Billboards against Instagram. Sermons against TV shows," he said.